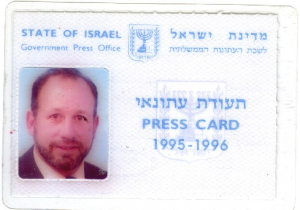 The Israel Internet News Agency (INA) was created by Joel Leyden in 1995 to provide accurate and timely on-line news from Israel in times of crisis. The Israel News Agency disseminates direct news feeds from the Israel Government Press Office, Prime Minister’s Office, Israel Ministry of Foreign Affairs, Israel Ministry of Defense, the Israel Defense Forces, the Israel Ministry of Trade and the Israel Ministry of Tourism to a global audience. 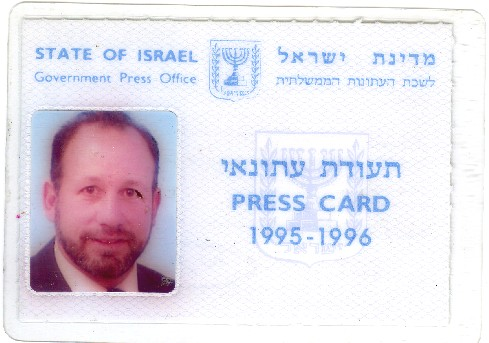 The Israel News Agency (INA) in addition to reporting general news, features and editorials from Israel was responsible for reporting and creating Web sites from the assassination of Israel Prime Minister Yitzhak Rabin and the IDF Shear Yishuv disaster to almost every terrorist attack against Israel’s civilian population since 1995. In doing so, the Israel News Agency was able to provide information to the global public that was only available in Israel. Our links have been used by the Israel Ministry for Foreign Affairs, CNN, Associated Press, USA Today, Reuters, Washington Post, Jerusalem Post, Yediot, Maariv and thousands of other on-line, broadcast and print news media outlets. Information presented on the Israel News Agency Web site is considered Fair Use public information and may be distributed or copied. Use of appropriate byline/photo/image credits is requested. For site security purposes and to ensure that this service remains available to all users, this computer system employs software programs to monitor network traffic to identify unauthorized attempts to upload or change information, or otherwise cause damage. Unauthorized attempts to deny service, upload information, change information, or to attempt to access a non-public site from this service are strictly prohibited and may be punishable under various international, Israeli and U.S. laws including Title 18 of the U.S. Code to include the Computer Fraud and Abuse Act of 1986 and the National Information Infrastructure Protection Act. Articles and opinions expressed in the Israel News Agency reflect the thoughts of individual writers and do not necessarily reflect those of the views of other staff writers and the publisher of the Israel News Agency. The INA / Israel News Agency, an Israeli government accredited news media outlet, clears all news items relating to Israeli security with the Israel Government Press Office.